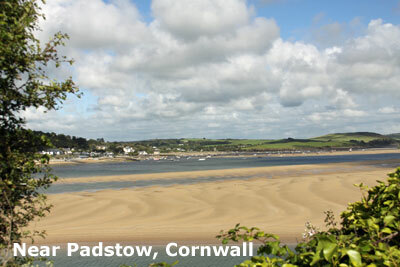 Cornwall and its Riviera is the English holidaymakers top destination for a summer break in a rented cottage. Everyone loves Cornwall, this most south westerly county of England that juts out into the Atlantic Ocean. The balmy winds and and waters warmed by the Gulf Stream off the coast of Cornwall have created a micro climate where sub tropical plants thrive and succulents, more associated with warmer countries, grow on cliffs facing the sun. Cornwall is remote enough to have a small population, settled mainly in the coastal and rural villages. Travel as far as Land's End to see spectacular coastal scenery, the famous landmark, good cliff top walks and lovely beaches. Rent a cottage near Land's End for a tranquil stay surrounded by countryside teeming with wild flowers. Cornwall is a magnet for family self-catering breaks. Families can have days on the beach and a safe and pleasant holiday home to come back to. Many of these cottages have their own swimming pools or hot tubs. A whole variety of features are available - do shop around to find exactly what you want. Click on the photo of the lovely Cornish cottage on the right to view a selection of cottages in Cornwall with swimming pools and hot tubs. Surfing is a popular pastime all down the Cornish Atlantic coast. Watch surfers carry their boards down to the sea and pit their wits against the waves. 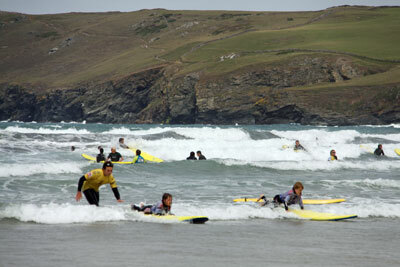 Surfing is often a family activity - entire families go to Cornwall for their holidays to tackle the waves. Surf schools and hire shops abound. Inland, the countryside is pleasant and green. The further south one travels, the more wildflowers there are. The Eden project attracts thousands of people with its gardens inside glass domes. A number of famous gardens also entice visitors down to Cornwall, the Lost Gardens of Heligan perhaps the most famous. There are legends of King Arthur and historic castles and landmarks. Cornish pixie lore is also fun, as are the various festivals and events. A holiday in Cornwall offers unique memories and a good holiday into the bargain. Can anyone rent a cottage? Stay in a holiday cottage with a swimming pool, or cottage with a hot tub, or a cottage with a games room for a fabulous self-catering break in Britain or Ireland. 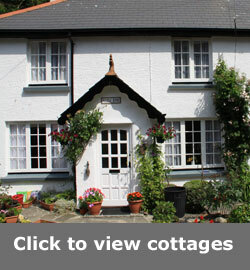 Looking to advertise self-catering cottages?